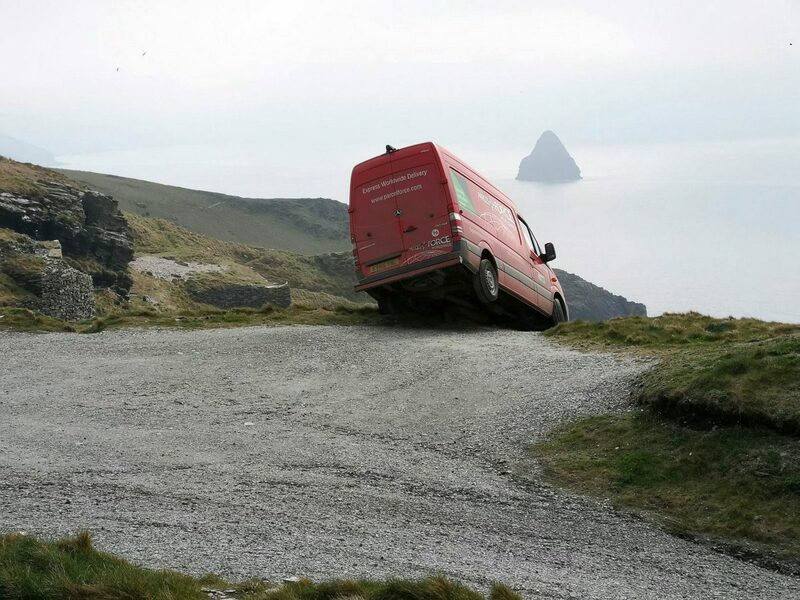 This dramatic picture shows a real-life Italian Job scene as a parcel delivery van was left hanging precariously over a cliff edge. 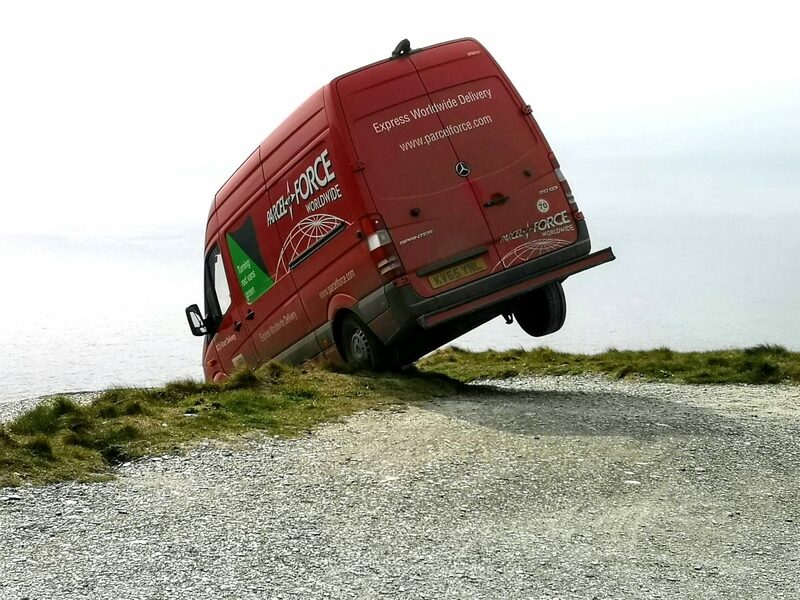 The Parcelforce driver escaped unharmed after getting stuck just a few feet from a 200ft drop into the sea. The image was taken by a local coast path walker in Tintagel, Cornwall, who said the driver was about a metre from potential disaster. The delivery firm says it has now launched an investigation into the incident. A local resident, who only wanted to be identified by his first name, Graham, said he and his wife had been for a regular walk on the coast path and were returning home in the middle of the afternoon on Sunday when they saw the van near the YHA youth hostel. He said: “We walk the coast path most days and see some really unusual things but this was perhaps the most unusual. “He was delivering to the youth hostel on the coast and we were coming back and the driver was lying on the grass. We thought he was in shock but he was lying back calling for a tow. “The parking for the hostel is on slate shale and I think he dropped a wheel over the bank and there was no grip to back out. “Had he gone for perhaps another metre the situation could have been very different; he would have gone down over a cliff about 200ft. Parcelforce Worldwide claimed the driver was never in real danger despite what the photos suggested. A spokesman said: “Despite what the picture may suggest, at no stage was our driver at risk in this incident. “The van was some distance from the cliff edge and there is a grass verge in front of the vehicle where the driver was able to exit the vehicle in safety with no injuries. “Following the incident, a recovery vehicle was called and the van was recovered. The driver continued their deliveries in the afternoon.